Picture yourself balancing on a tightrope, high in the air. Will you make it across? Will you fall? The answers to these questions are uncertain and you may feel pressure from your outside environment. It may be a windy or rainy day, for example, and you can never predict or control those external circumstances. Not only that, but you also have to contend with the state of your internal environment. 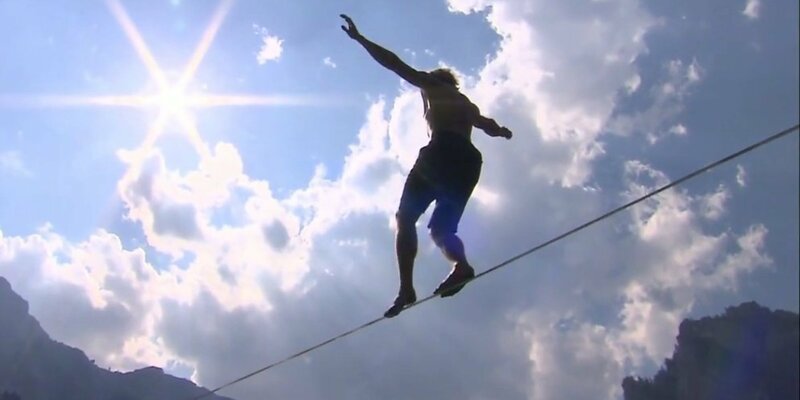 Walking across a tightrope high in the sky may immediately cause stress, anxiety, fear. And in these high levels of stress, your mind can’t think straight, you may lose concentration or not be able to focus on the task at hand. Walking across a tightrope, high in the sky, need not cause stress or anxiety at all. In fact, the probability that you will succeed is intimately connected with your ability to stay at peace, calm, centered, focused. Startups are under constant external pressures that are impossible for team members to control. Pressures to scale up quickly, high rounds of investment that demand performance, and an extremely high rate of failure (in tech, for example, less than 1 in 10 startups succeed). All these external pressures seem to set team members up for unavoidably high levels of stress. And high levels of stress are known to strongly affect productivity. In fact, just like the person on the tightrope, startup team members can maintain a state of inner peace, centeredness, and mental focus, no matter what the external circumstances are. Scientists have come to call this state “well-being”. And we now have very strong scientific evidence that ties high levels of well-being to productivity, creativity, innovation, and collaboration. According to the most prolific researcher of well-being in the world, Dr. Richard Davidson, the term can be roughly defined as a person’s ability to experience different emotional states (they’re not always happy), while maintaining a general state of inner peace. 1- Resilience → Recovery from negative emotions and experiences. 2- Outlook → Sustained positive emotion. 3- Attention → How much a person can focus on a task (mindfulness) and how much they mind-wander or are attached to things/people/events. 4- Generosity → Any kind of “pro-social” feeling or behavior (like compassion, altruism, love). Wellbeing and happiness are not the same thing. Happiness can be something experienced momentarily so it is not always a measure of well-being. One of the greatest predictors of well-being is the strength of a person’s social interactions/connections. Hint for startup leadership: focus on team member relationships because that will automatically increase productivity! Social isolation triggers many of the same brain regions that are active in the experience of physical pain. A vital precursor to the development of pro-social behavior is the activation of empathy (ability to recognize and share the emotions of others). Compassion (concern for well-being of others) and empathy training increases positive emotions. Mindfulness (non-judgmental attention to present moment) decreases activity in the “default mode network” of the brain, which becomes active with mind-wandering. Mind-wandering and mindfulness engage the “default networks” of the brain that can be detected at rest. There’s a decrease in default mode activation (involved in mind wandering) with mindfulness. All the areas involved in the 4 constituents of well-being exhibit “plasticity”. That is, they can be transformed through training and experience. Training programs for compassion, mindfulness, kindness, generosity can be as little as 2 weeks and still have effects on the brain (8 weeks is better though). Happiness and well-being are skills that can be trained. Almost half of our thoughts per day are not related to the task at hand (47%). People are happiest when they’re thinking about what they’re doing (in the present moment). Even when people are doing mundane tasks, they’re still happier when they are fully thinking about the task at hand. Although imagining pleasant alternatives to the present moment was better than imagining unpleasant ones, the happiest scenario was to not be imagining at all. The particular way in which you spend your day doesn’t tell us how happy you are. Mental presence is a much better predictor of happiness. There’s a brain default network that activates when we’re not doing anything or at rest. Whatever reason prompts that network to fire up…it’s the kiss of death of happiness. And the third big lesson that we learned about good relationships on our health is that good relationships don’t just protect our bodies, they protect our brains. 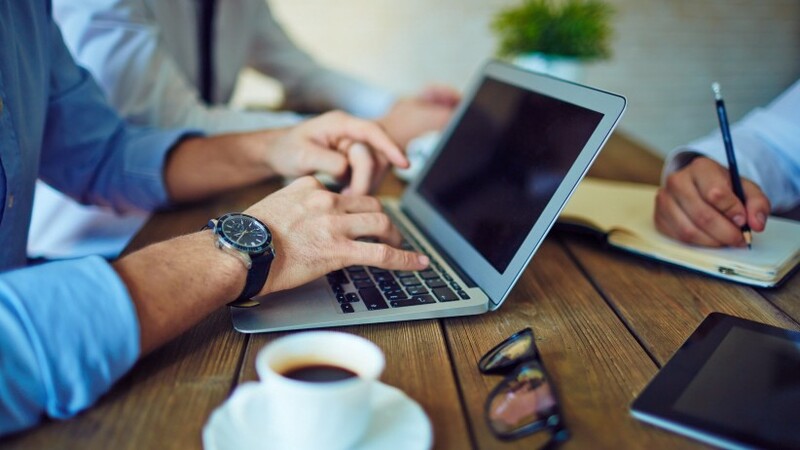 Well-being training in the workplace can be approached in a multifaceted way, using Dr. Davidson’s 4 part definition of well-being as the foundation. In my experience, the practice of meditation by itself affects resilience (recovery from negative emotions/experiences), outlook (sustained positive emotion), and attention (focusing on a task). 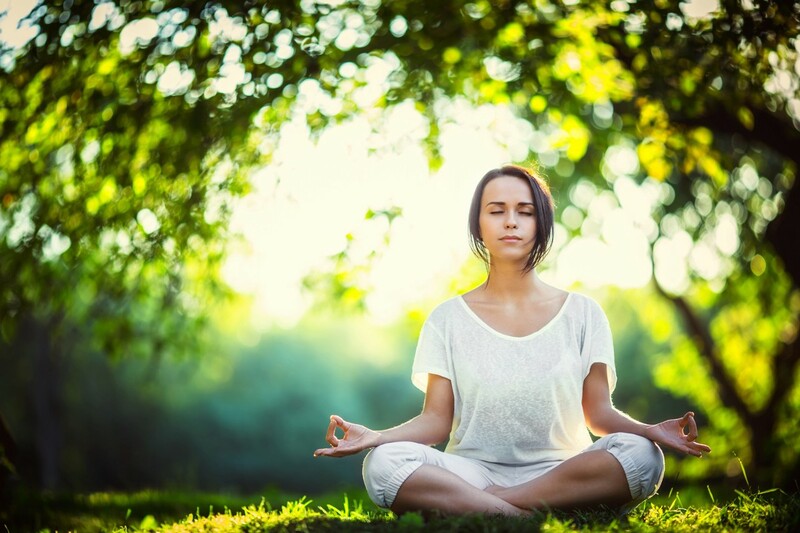 For this reason, I see meditation training as a crucial component of well-being training in startups. The more team members meditate, the more productive and creative they become. After meditation, mindfulness training is also powerful in affecting overall levels of well-being, especially the attention constituent. I’ve written an extensive guide to meditation and mindfulness for the workplace, where you can find lots of tools and practices to help you reach high levels of well-being at work. But there’s also a little “shortcut” to increasing well-being in team members: compassion and empathy training. One of the greatest predictors of well-being in people is the strength of their social connections. And there’s more. Pro-social behavior can be trained via empathy and compassion training. How exactly can one train these “skills”? My favorite way is to use powerful visualization meditation techniques, along with targeted mindfulness practices that focus on the heart center. Well-being training is an investment that more and more companies are committing to. The higher our levels of well-being and happiness, the more productive, creative, and innovative we become. And that’s really good news for startups and other high stress/high intensity organizations. Or feel free to connect with me at info@christina-lopes.com. Life Coach | Healer | Spiritual Teacher. Connect with me on: www.christina-lopes.com.